Add the spinach, pine nuts, Roasted Garlic Base, black pepper and red pepper, and Parmesan cheese to the bowl of a food processor fitted with the steel blade. Process for 30 seconds. While the machine is running slowly add the olive oil through the opening in the lid. Add the heavy cream the same way. 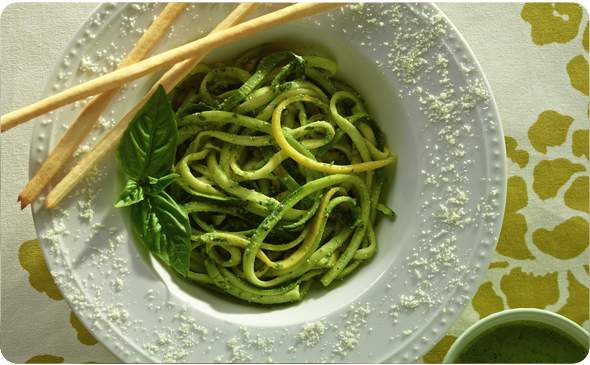 Add the zucchini noodles to a large bowl and toss with the creamy pesto sauce.